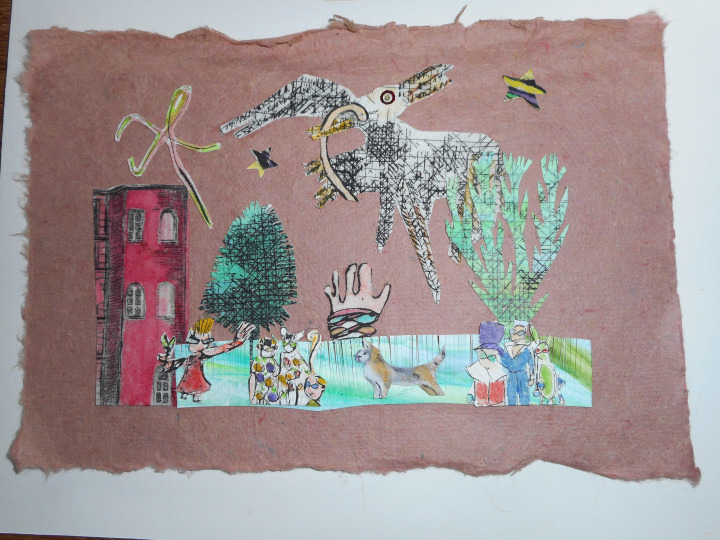 Collage with intaglio and watercolor on terra cotta colored handmade paper. Imaginary scene with large bird over head. Mounted on backing board. Image is 6" x 8.5". Backing is 8" x 10". Will fit standard frame.